Looking forward to this, pretty much all I've read about it says that it was an awful aircraft that most of the time tried to kill it's own pilots, should be a nice challenge. A Mig-31 or 25 would be nice. Rain hell from distance and speed. That said, a fully functional Hornet and a DCS that works on my PC would be nice! boff180 wrote: That said, a fully functional Hornet and a DCS that works on my PC would be nice! Razbaam also announced DCS South Atlantic Map. A man after my own heart I think Razbam still have a few surprises left to announce - and besides, they *do* also have a Mirage III CJ and MiG-19 in the works, among others! As with the Hornet, I'll just leave it to them as likes flying computers inside their computers and pressing X to "kill all enemies". 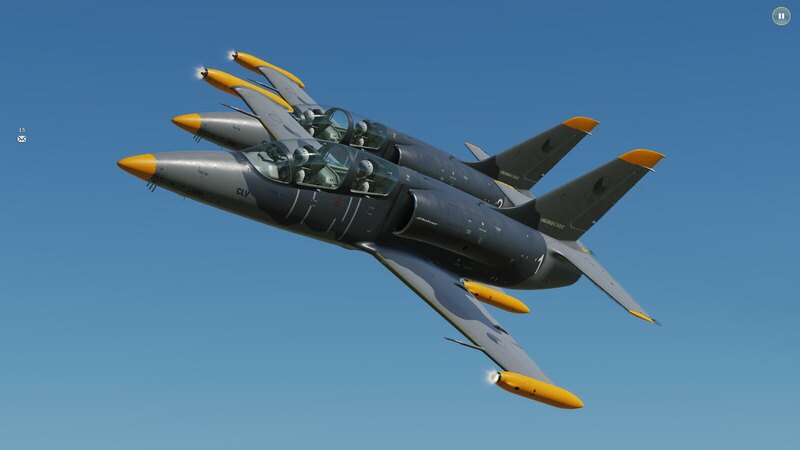 Off topic but just been doing some formation training with a friend in the L-39. Forgot how good a module this is, so much fun to fly. Super quality module. I'm hoping the C-101 ends up the same way. The devs have been plugging away on it for a long time now but their progress seems top.